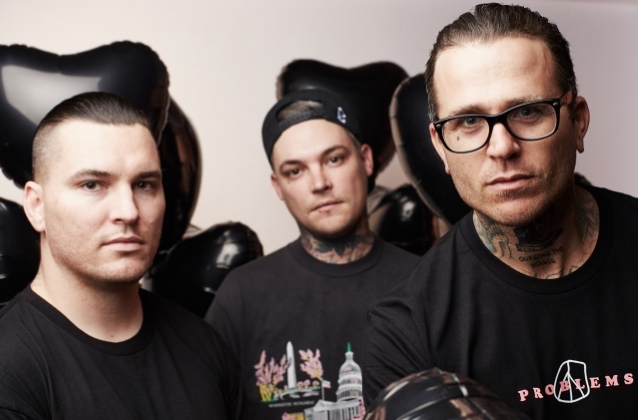 “D.I.E.”, the new video from THE AMITY AFFLICTION, can be seen below. The clip marks the conclusion of a three-part short film established by the music videos for “Ivy (Doomsday)” and “Feels Like I’m Dying”, all written and directed by THE AMITY AFFLICTION vocalist Joel Birch. “D.I.E.”, “Ivy (Doomsday)” and “Feels Like I’m Dying” are taken from THE AMITY AFFLICTION‘s new album, “Misery”, which was released on August 24 via Roadrunner Records. Recorded earlier this year in Baltimore, Maryland with producer Matt Squire (PANIC! AT THE DISCO, ARIANA GRANDE, UNDEROATH), “Misery” is the long-awaited follow-up to THE AMITY AFFLICTION‘s acclaimed fifth studio album, “This Could Be Heartbreak”. That LP made a spectacular chart debut upon its 2016 arrival, entering among the top 30 on the Billboard 200 while also charting at #1 in their native Australia — THE AMITY AFFLICTION‘s third consecutive time topping the ARIA album chart.